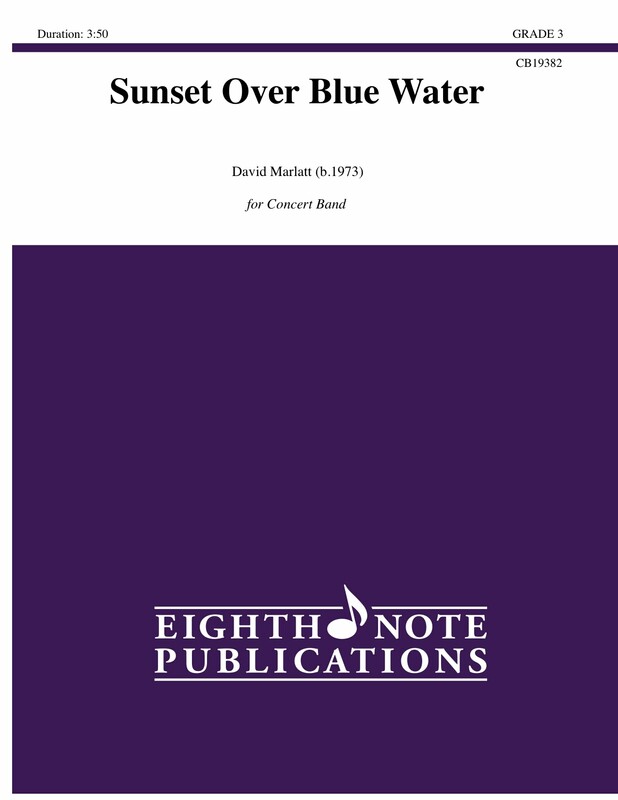 Sunset Over Blue Water is a fresh new scoring of the famous hymn tune It is Well With My Soul. The simple melody combined with the powerful, heart-wrenching lyrics, have made this hymn popular around the world. The lyrics are about remaining positive even when faced with great personal loss and sadness. This version is positive throughout and was inspired by a picture taken aboard a cruise ship of a beautiful sunset over the ocean. This work features some solo opportunities in flute, clarinet, horn, alto saxophone and trumpet. It builds to a strong forte verse before fading away to a quiet peaceful resolution.